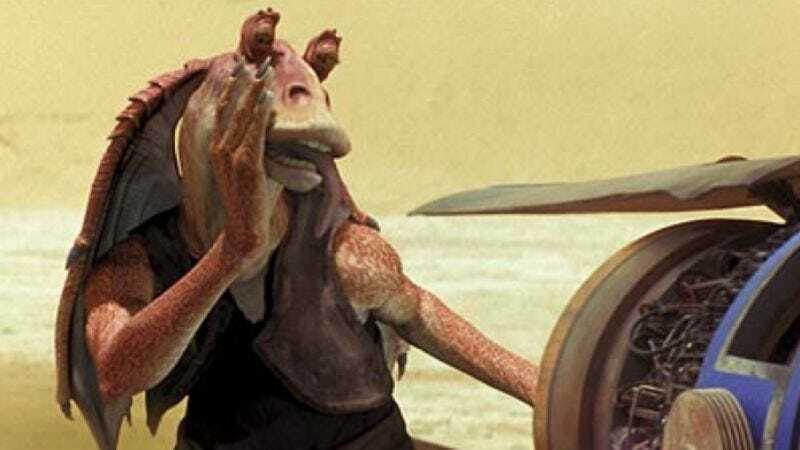 George Lucas’ plans to re-release the Star Wars saga in 3-D now has a concrete date, with Lucasfilm announcing that February 10, 2012 will see the premiere of Episode I: The Phantom Menace in glorious, box-office-gross-inflating three dimensions. As reported earlier, Lucas plans to convert all six Star Wars films and release one per year in “chronological order”—not in the sense of when they were made, but in the sense of where they take place on the Star Wars storyline. You could also call it an “order of reverse interest,” or the “order of increasing likelihood that 3-D will become unpopular or obsolete, negating the need to actually go through with it.” One could also suggest that Lucas’ decision to release Phantom Menace first could be a valedictory middle finger to a world that bitterly turned on him before the 2012 apocalypse screen-wipes it away, and Lucas escapes chuckling to himself in his rich-person space cruiser. But that would be presuming that Lucas believes the world will end in 2012, which is ridiculous.